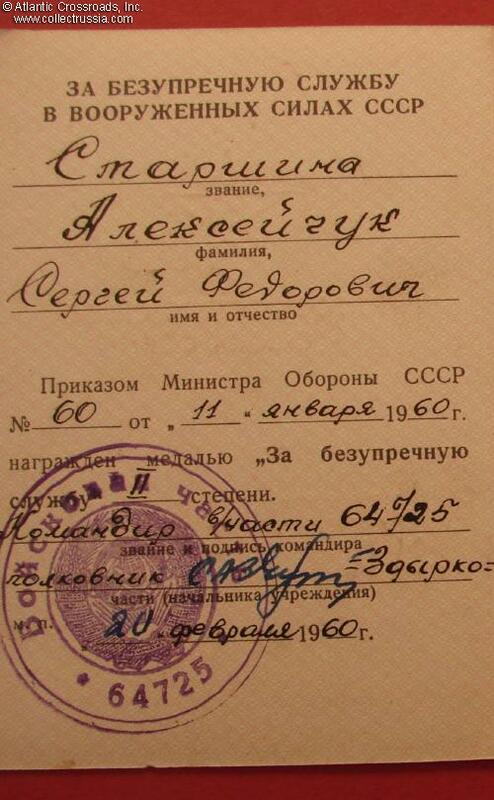 Award Document for a Medal for Irreproachable Service in the Armed Forces, 3rd class, issued on 20 February 1960 to Sergeant Major Sergei Alekseychuk. 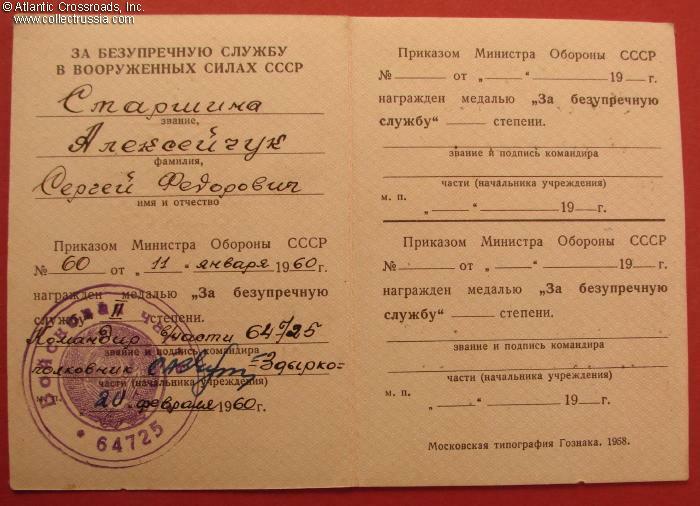 Award Document for a Medal for Irreproachable Service in the Armed Forces, 3rd class, issued on 20 February 1960 to Sergeant Major Sergei Alekseychuk. The certificate shows the 11 January 1960 date of the award decree. The document has a stamp of the Military Unit #64725 and is hand-signed by its commander, Col. Zdyrko. In excellent condition. 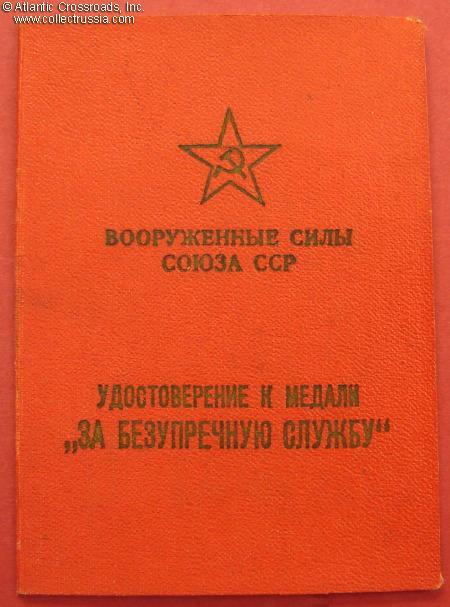 Long service documents to Soviet NCOs are far less common than officer issues.